Mike Young knows a thing or two about positioning a junior company for favourable commodity-price winds and few would argue he and the rest of the Vimy Resources (ASX: VMY) management team have the company perfectly poised to cash in on what seems an inevitable momentum shift for uranium. 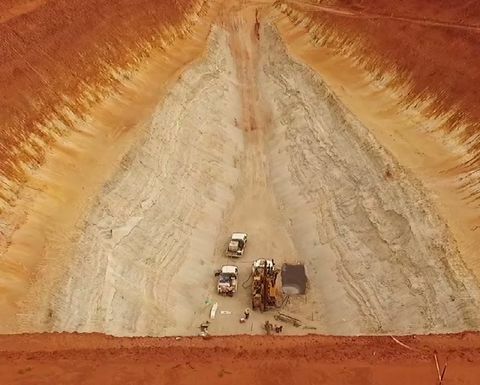 Vimy has Australia's third largest undeveloped uranium project at Mulga Rock in Western Australia, and continues to generate eye-catching drill results from exploration at Alligator River in the Northern Territory. 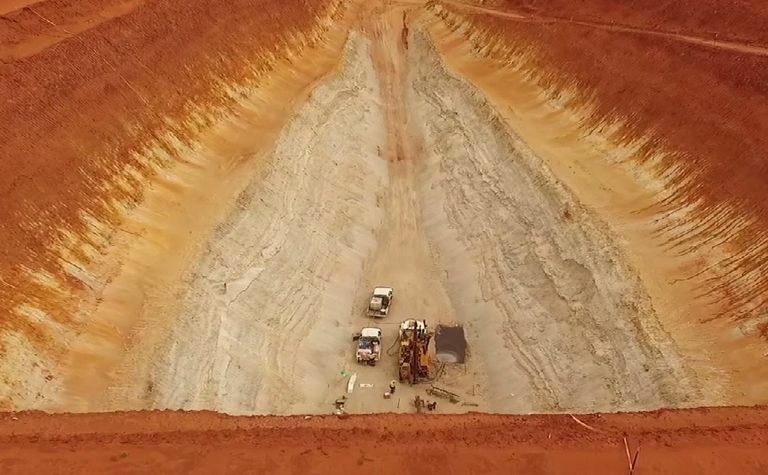 If the shovel-ready Mulga Rock venture - which has already ticked state and federal approval, and definitive feasibility study, boxes - is a company maker, with the potential to produce 3.5 million pounds of yellowcake a year at AISC of US$34/lb for at least 15 years, exploration at Angularli in the NT has offered a timely reminder of the historic riches in a region known for its tier-one uranium deposits. Mulga's DFS showed a 25% IRR and A$530 million NPV on a $490 million pre-production cost, with the project reliant on US$55-60/lb uranium. Vimy CEO Young, who oversaw BC Iron's rise as one of Australia's junior iron ore standouts in the 2000s, says the Mulga Rock strategy is "contract led", with many signs pointing to higher utility contract prices over the next few years. "We have to secure contracts at a sufficient price and in sufficient quantities and pricing to secure debt," he says. "Once that's done we can look at other options. "There are hardly any uranium projects at the level of advancement as Mulga Rock at a $55 incentive price." Others, such as those of Boss Resources and Berkeley Energia (A$110 million), have generated higher equity values for their owners. Boss has a current market value A$84 million, and Berkeley A$110 million, versus Vimy's A$30 million. The latter did suffer a well-documented stock sell-down by former key stakeholder RFC Capital, which lost out from its significant exposure to failed UK tin miner Wolf Minerals. But Young says downward pressure on Vimy's share price in the wake of RFC's exit has been overturned by the arrival on its register of institutional shareholders such as Morgans and Euroz, Sydney investment fund Paradice, and the ongoing support of iron ore billionaire Andrew Forrest. Morgans says Vimy has a strong value cornerstone in Mulga Rock - a "major project [for a] small company" - and plenty of upside at Alligator River, where last year's drilling continued to point to the potential for other high-grade (plus-1% U3O8, or plus 10,000ppm) deposits to complement the 910,000t at 1.29% U3O8 (25.9Mlb) outlined at Angularli. Vimy delivered a positive scoping study on the "Nabarlek look-alike" late last year and expects to restart drilling on the district's biggest landholding in a few months. The proposed work is fully funded. Young says: "We are really excited about the Alligator River Project (ARP). A few weeks ago we were doing a presentation to a sovereign group and our geologists did a very detailed presentation on their recent findings and current thinking. I was simply blown away. It really stirred the inner geologist in me and I can now see just how prospective and woefully under-explored this region is." Morgans says grade gives the ARP and Vimy a buzz even in a soft market. "In the short term, even with a weak spot price, discovery of another high-grade deposit by Vimy could prove a share price catalyst," it says. "The high grade of Angularli renders it a profitable development even at weak prices, but success in the immediate area would leverage the value of this high-grade deposit. "Longer term the major driver for our [Vimy] valuation is the contract uranium price, with plus-US$50-60/lb expected to justify development of Mulga Rock. It is a robust project, with the final investment decision dependent on the contract uranium price, rather than the spot price, reaching an acceptable level somewhere above US$50/lb. "The industry consensus forecast is for global demand to increase to about 240Mlb U308 by 2024, with current annual output about 150Mlb. A spot price above US$35-40/lb could be expected to generate contract prices above US$50/lb - subject to a US Department of Commerce (DOC) review anticipated mid-2019 - when drilling at Angularli and Such Wow [in the NT] is scheduled." The much talked about US government review of support for its domestic uranium production - a talking point again at this week's PDAC event in Toronto given how close a final decision is - has continued to impact decisions on longer term contracts outside the world's biggest market for the nuclear-power fuel. Young says conclusion of the DOC Section 232 investigation of the need for ‘domestic pricing' of uranium will give power utilities greater certainty going forward. "Currently, they are frozen from doing anything as they've been told that existing contracts won't be grandfathered," he says. "The whole ordeal, stupidly conceived, has caused significant uncertainty and angst in the American nuclear space, which is one-quarter of the global demand and front-runner on contract pricing." Beyond the situation in the US, there are enough nuclear reactors under construction, planned/permitted, or proposed worldwide to more than double the current fleet population in the next 10-15 years. Continuing pressure on new coal-fired power plant builds can only increase the world's focus on cleaner generation options. "There's a wall of uranium demand coming, there's no doubt about it," Young says. Only adequate contract pricing can stimulate the required supply response, though, and Young says the sector's project pipeline has been left damaged and "dysfunctional" by unsustainable prices. "Most of today's uranium production is protected by long term contracts that are now beginning to roll off," he says. Vimy's latest investor presentations highlight a spectacular leap in the uncovered positions of US nuclear reactors as soon as 2021-2022. "As we've seen with [leading Canadian producer] Cameco Corporation and MacArthur River, the current range of offered contract pricing is not at a level to sustain production at MacArthur River which is one of the lowest cost producers on an AISC basis on the cost curve. 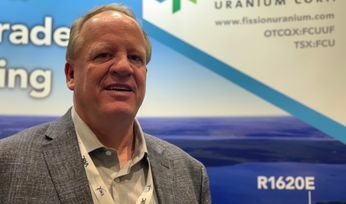 "This indicates to me that if global uranium production is to be sustained at current levels, contract prices need to be higher - in the US$40s and $50s/lb range at least - or mines will continue to close. Today's production is not sustainable at current uranium prices. "And if you listen to Tim Gitzel at Cameco Corporation and Riaz Rizvi at KazAtomProm you can see that neither will ramp up latent production capacity until there is a sustainable price rise and market." While spot uranium prices are clearly not being determined by the sector's marginal cost of production, nor a standard clearing house market, they are typically impacted by a contract market ‘pull-along affect' and have ticked up past US$30/lb after bottoming out below $20/lb. But Young reiterates that contract pricing is key to unlocking vital uranium supply, and positive momentum for companies such as Vimy. 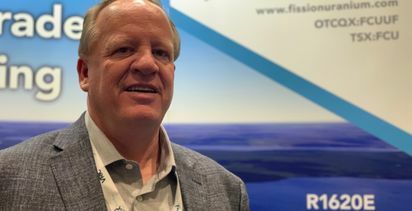 "Something that many people don't understand is that a $10/lb shift in the price of yellowcake is not a big cost impost for the utility," he says. "A 1GWe power station requires around 440,000lb of U3O8 per year [converted into 27t of fuel]. That's US$4.4 million for a $10 price rise. "A 1GWe station generates 8,000GWh of electricity per year, or 8 billion kilowatt hours. If you divide $4.4 million and 8BkWh you get a cost of $0.0006 per KWh. "So it's really not an issue." Vimy will eventually seek to bring in a development partner for Mulga Rock, though the management group has shown previously it can assemble a team to go it alone on such a project if markets allow. 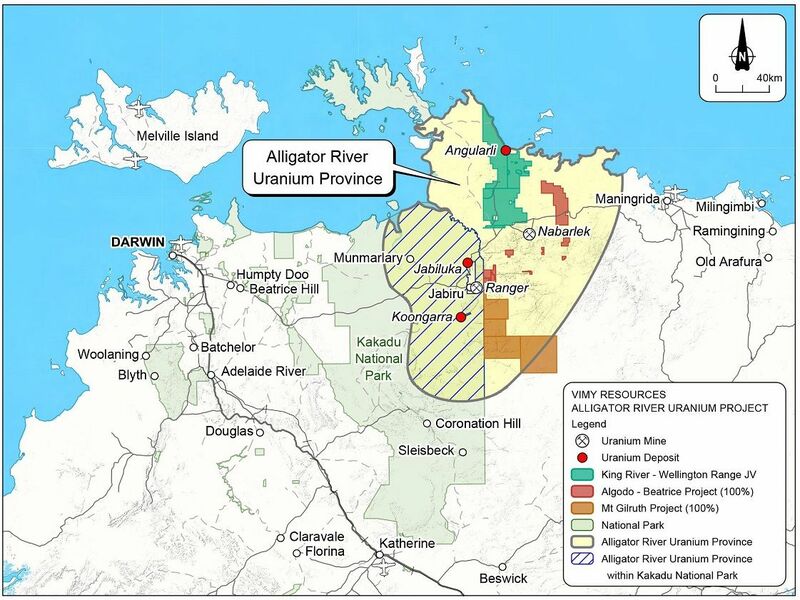 Mulga Rock, now progressing through secondary permitting and licensing, was one of only four advanced uranium projects the incoming Western Australia Labor government exempted from its 2017 ban on new mines. Young says there is little concern among investors about what is generally viewed as a slightly confusing landscape, in a state with one of the best reputations for attracting mining investment in the world. "Most people get that we have been allowed through," he says. "However, most people also think that the ALP in WA is living in the dark ages with respect to uranium mining. "But you can't change ideology so I don't try." "The company stands ready to ramp up [uranium] production"